Regenerative Thermal Oxidizer (RTO’s) from Ship & Shore Environmental meet the most stringent air pollution abatement regulations. Our RTO systems and industrial thermal oxidizers lead the emission abatement technology market by using state-of-the-art engineering to repurpose the thermal energy created during operation, resulting in lower costs and less energy consumption. Our expert team of engineers can help your company improve Regenerative Thermal Oxidizer Efficiency, performance, reduce greenhouse gases and eliminate regulatory issues. 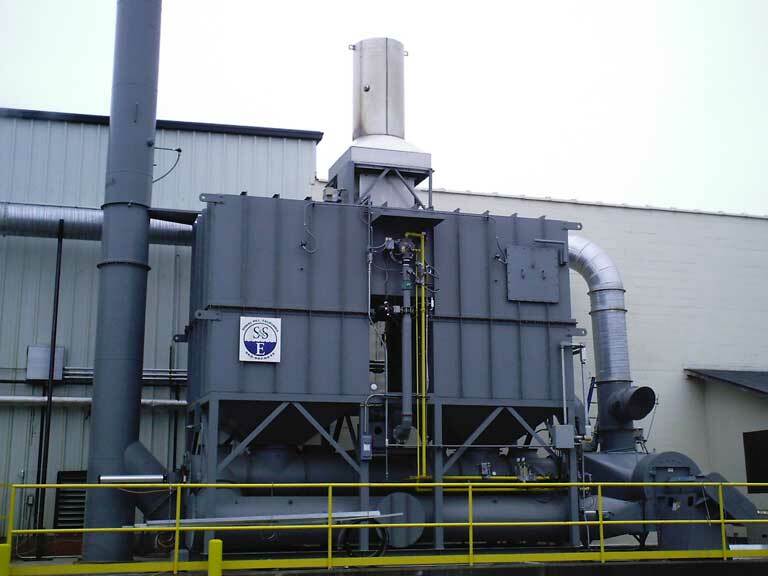 At Ship and Shore Environmental we know that no two problems are alike, and therefore no single Regenerative Thermal Oxidizer Specification can be created to meet all of our client’s needs. We provide our clients with the right equipment to meet their specific needs. The TCEQ, EPA, BAAQMD, SCAQMD , and other regulatory authorities on air quality require companies to collect and destroy VOC emissions from their manufacturing operations in order to reduce the impact on the environment. Our philosophy is to develop energy efficient and innovative products to assist our customers in meeting the increased environmental demands passed on by these regulatory agencies, while also enhancing productivity and profitability. Our equipment is specifically designed & sized to meet the particular process conditions of your facility. At Ship and Shore Environmental, our company is not limited to just one technology for VOC abatement. In fact, our services include a broad set of services and products to our customers including (CAD) computer assisted drafting, customized fabrication, and management of custom projects. Working with our customers closely, we serve as a true engineering partner and Regenerative Thermal Oxidizer Supplier. During the development of our RTO systems, our goal is to offer the highest-quality and most reliable VOC Thermal Oxidizer abatement systems for each specific application. Our team is capable of providing complete support from the initial concept all the way through installation and into the commissioning. Our support staff speaks multiple languages to support customers from all around the globe. For each unique Regenerative Thermal Oxidizer Design project, we utilize our experience and expertise to create the best overall system at the most efficient Regenerative Thermal Oxidizer Cost. Our factory trained technicians are available by phone 24/7 to help with service, troubleshoot issues and maintain these VOC abatement systems. 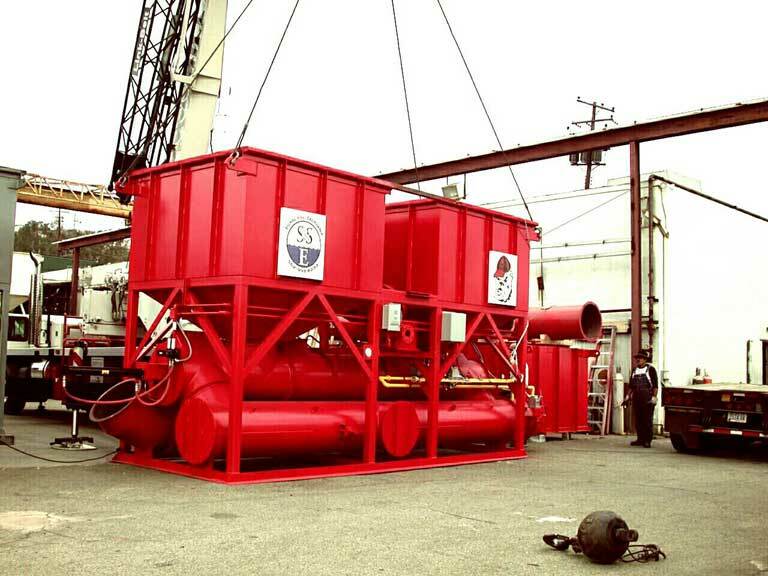 At Ship and Shore Environmental, we provide customized engineering solutions and industrial thermal oxidizers for air-pollution abatement. We engineer, design and fabricate environmental products and systems. A majority of our clients are required to collect and destroy emissions generated by their manufacturing operations. When you work with Ship and Shore, we become your strategic partner from initial permit application to commissioning, meeting the most stringent air pollution regulations. Ship & Shore’s systems convert volatile organic compounds into carbon dioxide and water by using a system called a VOC Thermal Oxidizer. Commonly,. VOC’s are emitted by manufacturing facilities as part of their processes. These VOC’s are typically referred to as solvent fumes, hazardous air pollutants, hydrocarbons, halogenated hydrocarbons and other odorous emissions. Differing solvent mixtures and/or exhaust air volumes running together on same production line. Recovery of heat will be as high as 95%-97%. Destruction rates for VOC will range from 96%-99%. The ability to work with chemicals in a solvent mixture providing catalyst destruction properties. Having multiple burners available: propane, natural gas, Low BTU gas, LPG or fuel oil burners. Little, if any, fuel support is needed for most applications. Ship & Shore is an international company serving clients throughout the Americas, Europe and Asia. Our team of experts provides overall engineering and management of environmental projects to reduce greenhouse gas emissions, always aiming to keep utility operating costs down through enhanced energy efficiency and waste heat recovery solutions like VOC thermal oxidizers. Ship & Shore is also instrumental in recovering incentive rebates sponsored through utility providers for new and improved equipment operation. Our skilled teams are available twenty-four hours a day, seven days a week. Contact us now for a free estimate by calling 562-997-0233.